Denby Park’s KaBoom Park to be moved? Citing continued crime at the KaBoom park, the City and the Denby Park Civic League are making moves to close the park and relocate it to a safer portion of Monticello village. The park was built in August 2008 by over 400 volunteers and with a grant from the Chrysler Foundation. It is located at 352 San Antonio Blvd. The now cleared site at 1227 W. Little Creek Road where the troubled Alexis Apartment once stood will be recommended to City Council at their Tuesday, June 28th meeting to advertise for a public hearing to rezone from R-14 (High Density Multiple-Family) district to C-2 (Corridor Commercial). The proposed use for the site will be additional parking for the Titustown Recreation Center. Originally reported on June 16, 2011 as Homicide at Cromwell House, the killer of Louis A. Daniel, Jr. has not been caught and police ask that anyone with information on the death call (757) 664-7023. Nonetheless police have arrested a man in connection with the homicide and charged him with burglary. The alleged criminal is Eugene Williams Jr. of the 1400 block of Long-dale Drive. He is currently being held without bond in the Norfolk City Jail. See the Virginian-Pilot article and the WVEC article. At almost 50 years old, The Pancake House at Wards Corner has become a neighborhood staple. The Virginian-Pilot printed an article/review in their June 20, 2011 edition. You’re not likely to leave The Pancake House hungry, although you may feel like taking a nap after ingesting all those carbs. 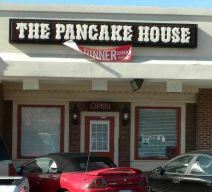 Congratulations go out to The Pancake House for their past and future successes! Norfolk, VA – Residents of an apartment complex want better security after one of the residents was killed. Residents say they heard gun shots Tuesday night. Police found 77-year-old Louis Daniel Jr. dead on Wednesday in his home on Cromwell Parkway. His neighbors hope his death was not in vain. “I heard the gun shot, and it didn’t sound that close,” said Joanne Knight who lives above the apartment where Daniel died. He would sit in his window and read in the sunlight. Tuesday night, darkness visited Daniel – a robber in the night with a gun. “We all are praying. We are on shells walking because we have to watch our backs. We have to do that. We shouldn’t have to that Mr. Andy. We need help,” said Knight. Cromwell House Apartment residents are scared, and they want better security. “They are breaking into cars, breaking down doors when they are not home,” said Knight. They want trees cut that are around lights, and they want surveillance cameras. “If you look at the light, how bright will it be behind the trees,” said Laura Davis who is also a neighbor. Apartment complex management told WAVY.com there is security at the complex, but two residents talked over each other to say security is nearly non-existent. Management has arranged for police to visit on July 28 to give residents tips on staying safe which is more than a month away. “We need a meeting tomorrow, tonight,” said Knight. In memory of Daniel, residents will have a candle light vigil, but more importantly they called up because they want better security. Apartment management did not return our phone calls for a response, and told us Wednesday they do have security, but as you have read, residents say it’s not nearly enough security. Residents and neighbors of Cromwell House Apartments have been complaining about increasing and persistent crime for some time now. 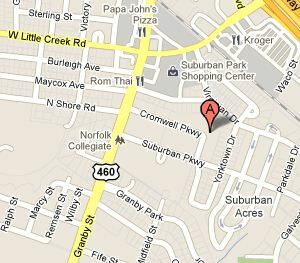 WAVY, WTKR, and WVEC are reporting that a homicide occurred there on Tuesday night between 11:00 and 11:30pm. The victim was an elderly man who rarely left his apartment according to neighbors. Police have not released details or a motive at this time. You are currently browsing the Wards Corner Now - Wards Corner, Norfolk, Virginia blog archives for June, 2011.